Good morning! We’re so excited you’re joining us for the Taylored Expressions Birthday Bash! We’ve got tons of fun challenges and tons of great prizes to celebrate Cuppie’s 1st Birthday! A new challenge will be posted each hour by our fabulous Baker’s Dozen design team! We’ll have a variety of challenges including sketch, technique, color, and inspiration. You’ll have 5 days to complete these challenges and be eligible for the prizes. I’m starting the day off with our first challenge, an inspiration challenge. I picked this piece because it’s bright, fun, and it puts a smile on my face! Oh… and it’s packed with inspiration! CHALLENGE: Get inspired by the photo! Pull out a color combination, image, theme, or maybe even a layout and use it to create anything your heart desires! You’re not required to use Taylored Expressions images for our challenges. KEYWORD: Upload your creation to your blog or online gallery (or both). 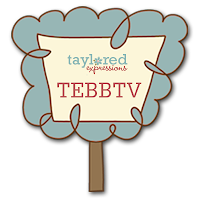 If you’re uploading to online galleries, use the keyword TEBBTV. Then come back to this challenge and leave a comment with a direct link to your creation! In order to be eligible for the prizes, you must leave a comment with a link to your card by midnight PST Wednesday, September 9th. PRIZE: I will choose my favorite creation from among all the participants and mail you the card I created for this challenge along with a $10.00 gift certificate to the TE Store! Here's the card I created for my inspiration challenge! It's also doubling as my TE Sketch Challenge card this week. The inspiration photo put me in the mood for a birthday party so I grabbed my Sweet Celebration stamp set (currently available at the TE Store for 40% off!) and I also drew my color inspiration from the above photo. I enjoyed working with this color combination so much that I wanted to give all of you the opportunity to try it as well. You can purchase two sheets of each of these colors as part of our new TE Color Pick Cardstock! The next challenge will be posted one hour from now so what are you waiting for.... it's time to get stamping! I can't wait to see what you come up with! LOVE this Cuppie Birthday card Taylor! The colors are SO delish and I LOVE the bling!!! Happy Birthday Cuppie and Happy Birthday TE!!! This is adorable! Happy Birthday Cuppie!!! 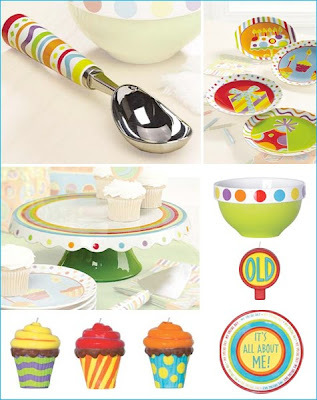 What a fun inspiration piece and your Cuppie card is SUPER SWEET!!!! I had to play along! LOVE these colors Taylor!! Congrats Taylor - your cuppie is super cute! What an adorable card! I just love this challenge! I had a lot of fun playing along this weekend, thank you for not only having the birthday bash but for hosting a challenge! What FUN these challenges are...Happy Birthday to you and your cuppies, Taylor! Great party Taylor; thanks for all the fabulous challenges! My entry for your inspiration challenge is towards the bottom of my post - TFL! Great challenge. I used it as a color challenge. Happy Birthday to TE! Wish I found TE sooner! Here's my card: GOOD LUCK! Great card and challenge! Here is my card! Thanks! Great pix for inspiration. I love the cupcakes and scallops, and when I saw this, the images from Unity's August KOTM jumped out at me. Hi Taylor, I love your card and the colours. I have included a link to my card. Thanks for the great challenge Taylor. Woohoo~! I finished all 13 projects! What fun! Happy anniversary and thank you for the great challenges! Taylor this is my first challenge ever! Thanks for this event. It truly was fun. love these fun colors together. thanks for giving me the push to try.